With Chanukah nearly here, we are excited to let you know about some amazing products that you can give for the holiday and year round! Our gift guide allows you to support Orthodox Jewish businesses while finding something for everyone on your list. 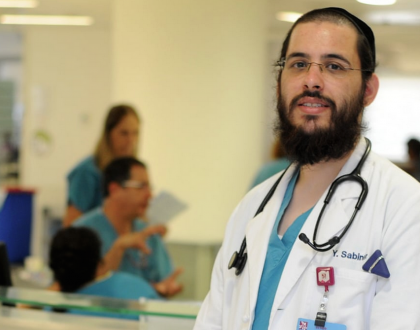 And by supporting our sponsors, you are supporting our work which is an investment in the Jewish people. Yaeli is a wife and mother of three who lives in Queens, NY. She was born in Bnei Brak, Israel. 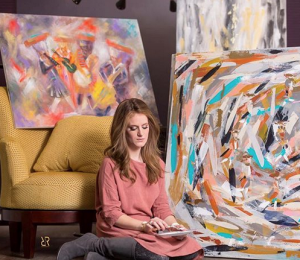 She has been painting for over a decade and has seen her work evolve from a hobby to the point where she has become sought after by those on the lookout for unique, striking pieces. 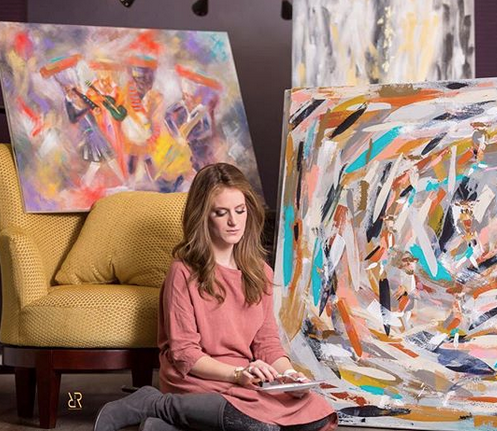 Yaeli chooses to live life every day to the fullest and paints her way through it. As she says: “layers don’t complicate, they electrify,” Layers take simplicity and transform it into magic. 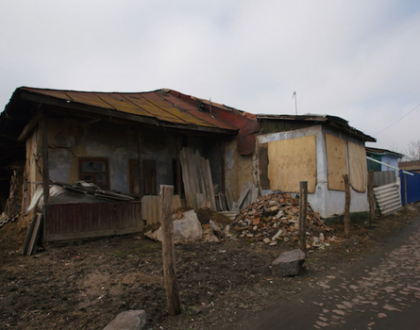 Yaeli has a keen interest and perception for people and culture. She implements it all into her work, choosing to fade some of it, allowing the mind and imagination to strike upon some introspection and curiosity. Yaeli paints contemporary expressionistic paintings, where the viewer can be moved in some way. It’s what the viewer couldn’t put into words; it’s all there, on the canvas. Yarmulkes and Bows was established in 2011 as a local Detroit business, providing personalized Yarmulkes and all kinds of girls hair accessories. When their unique, trendy, and adorable Yarmulke styles and excellent customer service spread to many other communities, they realized there was a need for a website to provide these services to customers all over. Yarmulkesandbows.com first launched in August 2013. 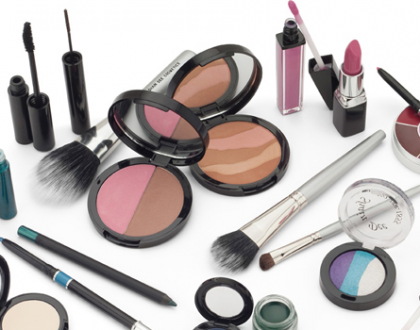 The website has been steadily growing, and slowly they started branching into other products. Yarmulkes and Bows is committed to providing excellent service, products, and prices. They strive to ship orders promptly, and work extra hard, especially during peak seasons, to provide quick and efficient service. About two years ago, Rivka Fishman’s (then) 5-year-old daughter was having trouble in school because of a new kid in her class that was making her life miserable. As a fourth grade teacher, Fishman had extensive training on bully-proofing and had even given workshops on that topic. “It felt very frustrating to me that the techniques that had helped so many of my students, and my older children, were failing on my Kindergartener. I started to do more research into bully-proofing techniques that would would work for younger children and discovered the bucket-filling concept, which was perfect.” She merged it with the techniques she was already using for it to work for bully-proofing. 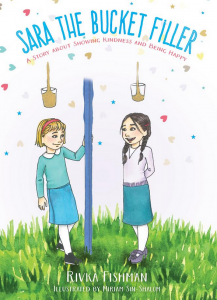 What began as a bedtime story for her daughter has become an illustrated children’s book that is published by Mosaica Press and distributed by Feldheim. 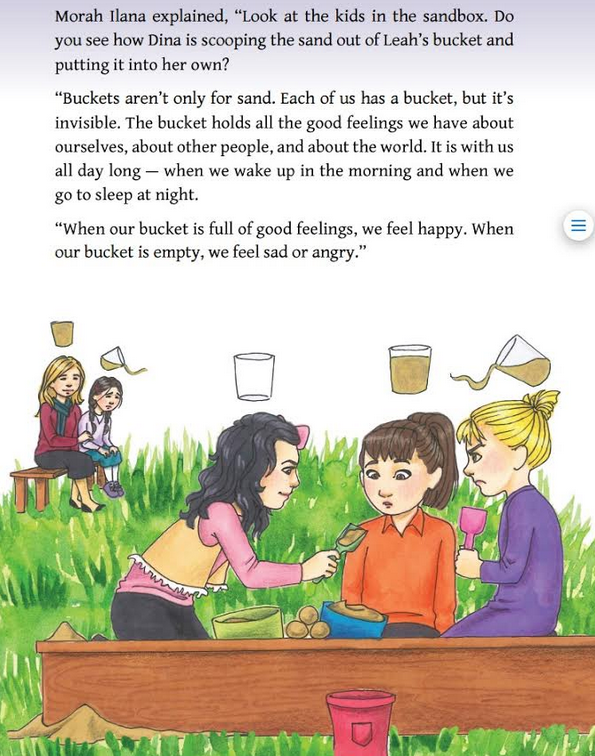 This book takes the bucket-filling concept that many people are familiar with and adds a dimension which helps kids use it to learn how to deal with mean people. It helps them stay happier, be kinder and be more resilient. 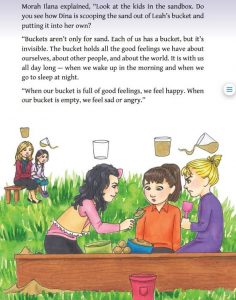 Parents have said, “it’s changed the way the family speaks to each other and the way the kids behave.” One teacher told Fishman that a very difficult child decided that she is now “Shira the bucket filler” and has redirected her inner power from being difficult and defiant to being helpful and looking for ways to fill buckets. Fishman grew up in Pittsburgh and graduated from Touro College with an undergraduate degree in Psychology. She has taught elementary school, middle school, teenagers, and adults for over 16 years. She currently teaches middle school at Torah Day School of Houston. Rivka is a recipient of the Irving L. Samuels Outstanding Teacher award for Judaic Studies and of the Grinspoon – Steinhardt Award for excellence in Jewish Education. She has spent many years researching and implementing effective ways to minimize fighting between children and now coaches parents and runs workshops to teach parents and teachers how to “bully-proof” their children. With the code JITC you can save $1 off the price of the book now! With a physical store in Pomona near Monsey and an incredible website which offers worldwide shipping, this one-stop gift store serves brides, couples and gift givers everywhere. With their online bridal registry, custom tablecloth-making capabilities and a full line of Judaica, you can find any hostessing item you ever need. 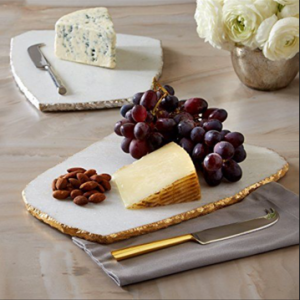 One Table Top provides an incredible selection of table accessories from serving ware and vases to glassware, flatware and dinnerware that both make great gifts or provides the perfect way to treat yourself. Their quality tableware is always offered at a fair, if not better price than similar offerings. One Table Top makes it their mission to deliver an exceptional experience to each and every customer by providing the highest quality products and superior customer service for their convenience. 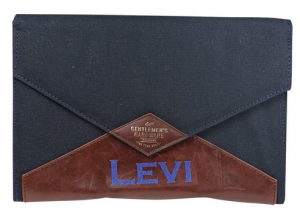 Because of the unique and well-made pieces they offer, items often sell out as soon as they make a splash. All their items can be gift-wrapped and shipped anywhere. Check back often for new pieces which are added regularly to the site. You can also visit their Instagram at @onetabletop. 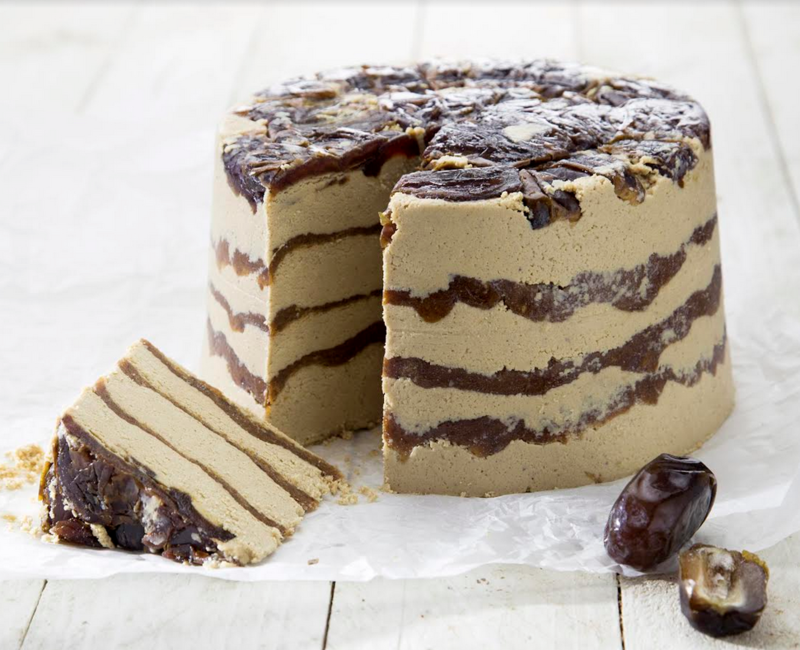 Well-known for their incredible Machane Yehuda shuk displays and sought after by Jerusalem locals and tourists alike, Halva Kingdom’s delectable halva and tahini is now available in the United States, under their sister brand Open Sesame. Craved by just about everyone who tries it, and rich in nutritional elements, the halva makes a satisfying snack or memorable dessert. The tahini is unforgettable, with rich flavors and diverse uses. Both are hip, exotic items which make for festive, healthy additions to any meal, snack or party. Eat well; we believe our days are better where good food is involved! Halva Kingdom products are made exclusively from first-grade Ethiopian Humera sesame seeds, and produces their superior quality products using a slow and meticulous cooking process. The seeds are roasted over gas-powered flames (rather than the conventional steam) following traditional methods. Next, the seeds are ground by the authentic process of grindstoning. This method is 10 times slower than industrial grinding methods, but it produces an intense flavor unique to Halva Kingdom products. 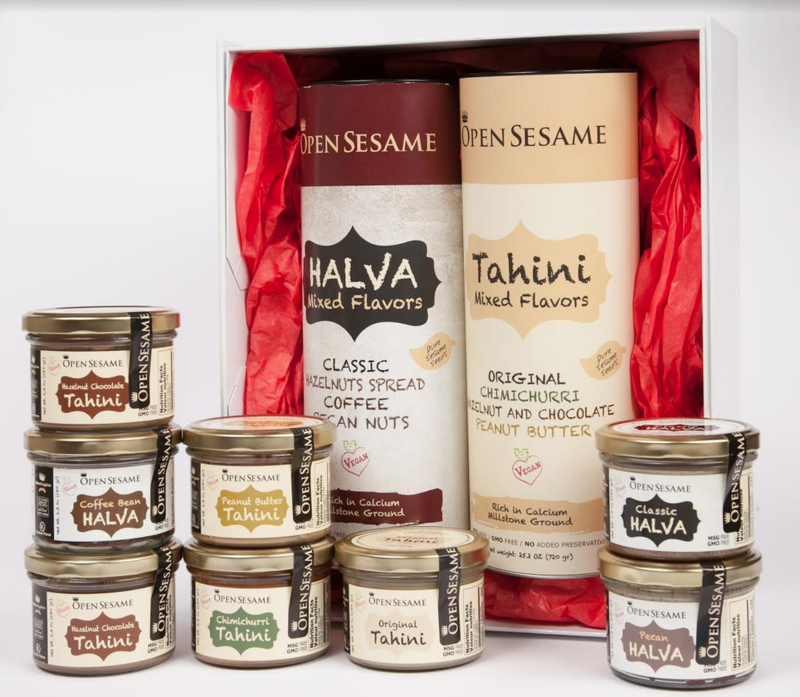 Tahini and its savory halva variations contain troves of nutrients and health benefits. Sesame seeds are rich in nutritional elements like phosphorus, magnesium, potassium and iron. They are one of the best sources of calcium and are high in B and E vitamins. Sesame seeds are 20% complete protein and help to prevent anemia, making them an essential ingredient in any vegetarian or vegan diet. Halva Kingdom products contain all of these healthful nutrients and are free of trans fats and preservatives. Halva is much more than a treat or snack, it can be used endlessly in cooking, especially desserts from tiramisu to brownies, adding a depth of flavor and a great protein. Try running a knife around the edges of Open Sesame’s buckets and jars to reveal a gorgeous halva cake! 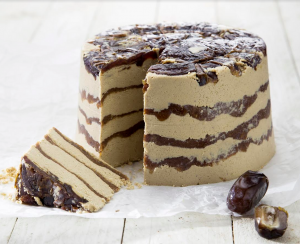 Halva also is amazing in coffee, or try it in a grilled halva sandwich, made in pan with butter or in a panini press for a fun lunch or snack. 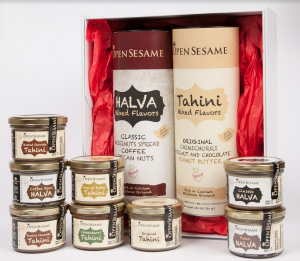 Open Sesame is offering a “buy one banana or whiskey halva (small cake, 1 pound), get the 2nd one of either flavor (banana or whiskey) half off” promo just for JITC readers. Contact them directly to order it. Lux Baby Box is a newly created baby gift service started by Aliza Rosenberg, an Orthodox entrepreneur and mother of four. Her goal was to take the stress and hassle out of gift giving. Each gift box is curated and coordinated for a classy presentation and is carefully hand packed and wrapped to create an unparalleled and pampering unboxing experience for a new mom (who could always use some pampering!). Gift boxing and greeting cards are included at no extra cost. 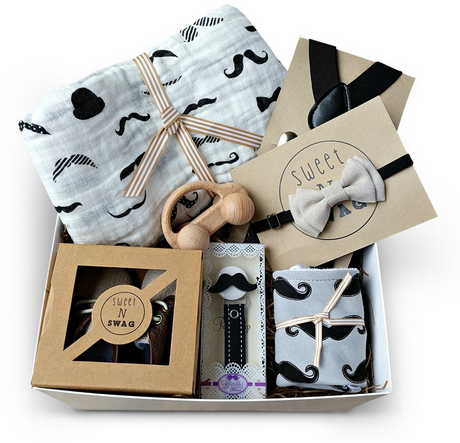 The gift boxes come in a range of prices and include a selection of boy, girl and neutral gifts (great for “keeping on hand”). This is an effort of love and Aliza has been thrilled with the feedback, constantly being told “It was my favorite gift!” and “It was so much fun to open!” She keeps all the gift box in limited quantities to ensure that your gift remains unique. Corporate and client gifting and as well as international shipping are available. While growing up, Ayala Friedman’s mother taught her how to make and repair jewelry, through a family Sterling Silver jewelry business. She is thrilled that her own son now finds excitement in jewelry as well. Friedman’s grandmother expanded her taste in diamonds, taking her to NYC’s diamond district and sometimes buying her something classic and stylish that she would cherish for years to come. 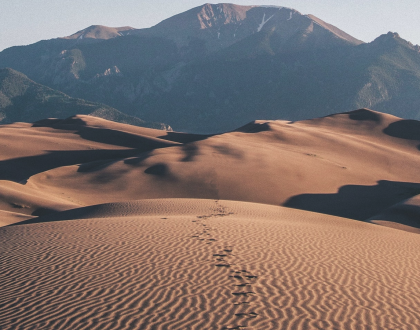 “When my mother taught my then 3-year-old son the names of the gemstones, my son said, “My mommy ONLY wears diamonds.”’ After getting married, she struggled to buy jewelry for herself, “each diamond piece of jewelry I picked was so expensive, I could only think of our other expenses and my husband and I would walk out disappointed.” Thus starting her mission to source magnificent jewelry, which looked like diamonds set in gold but didn’t have the high price tag and anxiety factor that goes along with owning such an expensive piece. High-end cubic zirconia is set in 925 sterling silver dipped in rhodium, platinum, yellow or rose-gold. 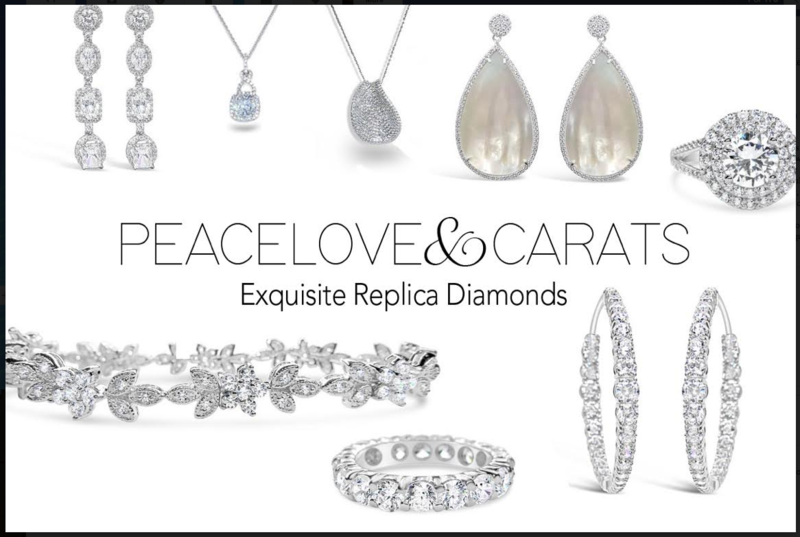 PeaceLove&Carats is known for being the savvy girl’s chic way of getting a real diamond look without spending the money. Peace Love & Carats has a phenomenal team behind the scenes that will help you find something you love: from checking a larger inventory to customizing ring size, necklace length, dipping the jewelry and performing repairs. 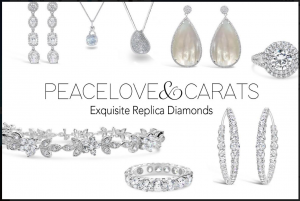 Since many of Peace Love & Carats’ customers live in the same communities, they stock a large variety of items but not in high quantities, keeping your new purchase unique. To maintain low prices, many items are not available on the website but can be viewed in person in our Passaic, NJ showroom or via private message with no obligation. 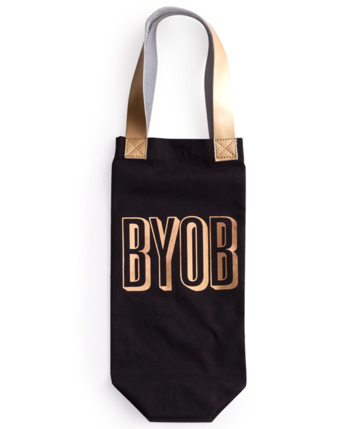 Enjoy 15% off and free shipping with the code JewInTheCity through December 22nd. 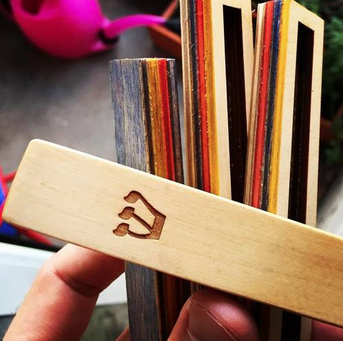 Impression Judaica is the result of the vision of Israeli artist and graphic designer, Rafi Bernstein. 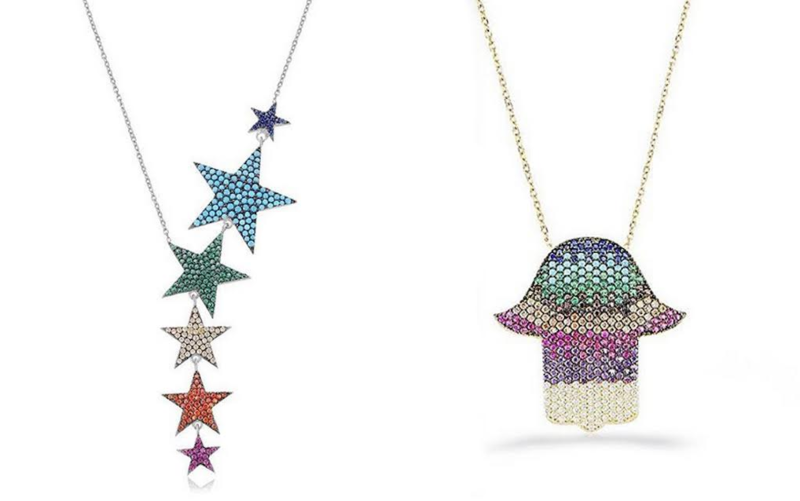 He seeks to bring the simple, clean aesthetic of his design work into the Judaica market. 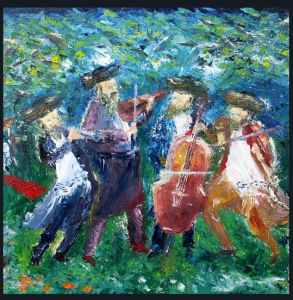 Rafi’s art takes inspiration from nature, using a variety of local and exotic woods, as well as from his upbringing in Jerusalem and his current surroundings in urban New York City. 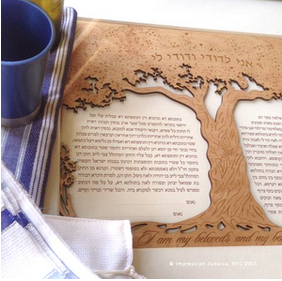 Every piece of Impression Judaica is handcrafted and completely unique, even if part of a series. The wooden challah boards, knives, menorahs, Shabbat candle holders and other creations will enhance your Jewish rituals as well as decorate your home. 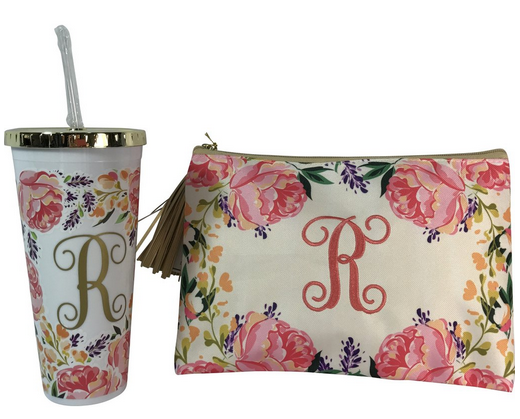 The option to laser engrave and personalize each and every piece adds a personal touch. Design a Mezuzah, a concept invented by Rafi Bernstein, makes it possible for you to choose three layers of acrylic to complement and enhance your home. The colors range from neutral to playful glitter. Whether you want your mezuzahs to blend in, match your decor, show off your allegiance to a favorite sports team or give your doorposts a pop of color, with the over 2,000 possible combinations there are options aplenty. The line has recently ventured into other tabletop and kitchen accessories including cutting boards and coasters and even coffee tables. Using the special coupon code: JITC17 will get you 25% off DesignaMezuzah.com, 10% off Etsy or in person/custom orders before January 30. With locations in Passaic and Lakewood and the ability to take measurements and ship worldwide, Fino Custom is the premier custom suit clothier. 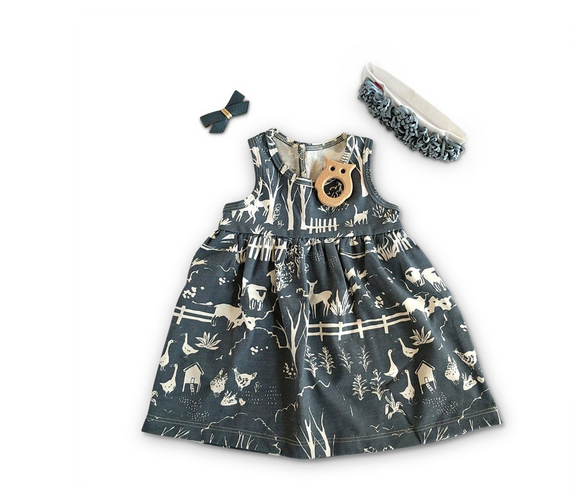 With customizeable options in many products, their customers are so satisfied that they never go back to shopping elsewhere once they have been to Fino. Their shirts are a standout. Besides for the custom fit, the customer chooses his collar type, cuff type, placket and pocket type. A personalized cuff is also offered: contrast fabrics on entire cuff or parts of the cuff, outside or inside. The collar can have a contrast outside or inside the collar, as well as the placket, can have a contrast fabric on the outside where buttons go down the shirt or hidden on inside button placket so that its seen on top where the shirt opens. The pocket can be hidden or regular with contrast fabrics, thread and monogram thread can be chosen, as well as different color and sized buttons. Trims are also available to add to the collar or cuff as seen on the shirt. Custom shirting starts at $75 and they are currently having a sale: 1 for $75, 2 for $125 and 4 shirts for $199 until the end of December. The custom suit design starts with the choice of fabric. Suit price increases based on fabric choice. They offer fabrics that range from $399… and go up depending on what the customer is looking for. They also have Italian fabrics and cashmere wools which cost more, but are available for those looking for that. 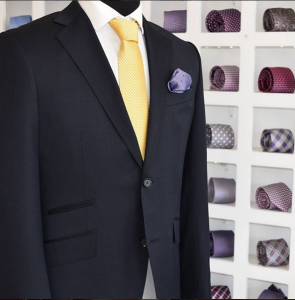 The customization of the suit continues with the choice of the lapels. 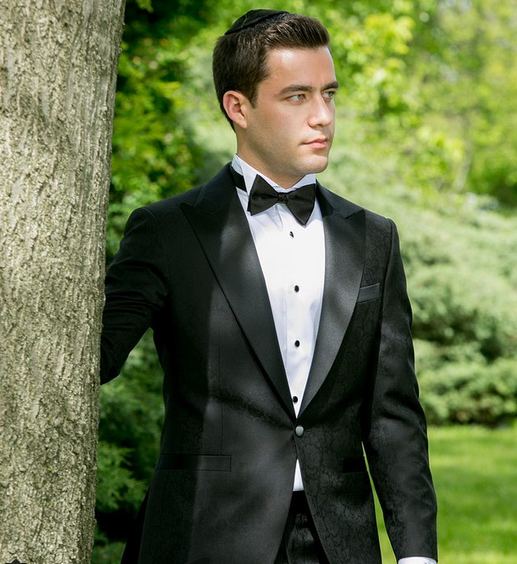 The customer can choose a peak lapel, notch lapel shawl lapel, etc. Pockets are also customizeable between welt, regular pockets and more, and continue through lining, pocket squre, buttons and button thread as well as button placement. 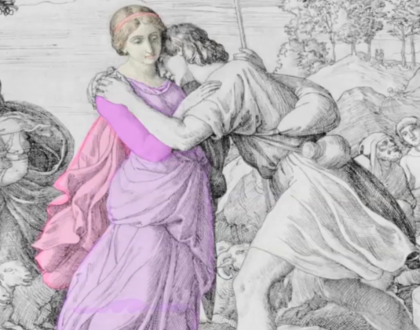 The customer can choose if the buttons on his sleeve are flat or kissing (overlap)… slanted or straight. In their most personal of the personalized features, you can embroider a name or message under the collar or inside the suit jacket. All design options are visible on finocustom.com. Chanabana was born through Chana Rachel’s own spiritual journey as she was becoming more religious, and could no longer wear her colorful sport clothes which she so much loved wearing. Chana Rachel wanted to enable other women with a preference for modesty to enjoy sports such as running, biking, swimming and extreme sports more fully by wearing beautiful and colorful activewear. The Chanabana line started with a single running dress and today offers running skirts, sets, dresses, swimsuits and head coverings. They specialize in bright colors, four different skirt lengths, ultra-light fabrics and flattering cuts to compliment every figure, up to size XXL. Born in Lancaster, Pennsylvania, Chana Rachel made Aliyah with her family to Beit Shemesh, Israel as a child. At the age of 15, she was struggling to find flattering clothes so she bought herself two sewing machines and taught herself how to sew. Later, she completed her BA in Shenkar College of Engineering & Design and came up with a new concept: modest sportswear.